Iron Man gone too extreme? In the pantheon of superheroes Iron Man is probably the figure most closely associated with cutting edge science and technology. If you’ve read the comic or seen the movies, you know that Tony Stark’s superhero get-up is no ordinary disguise – Tony and his armor are bonded, they’re symbiotic. His life depends on his high tech suit. Unlike conjoined twins, they can’t be surgically separated. Is Iron Man the prototype of humanity’s evolutionary vector — a vision of what’s to come? 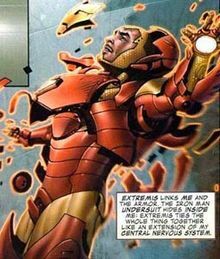 Is it true what prophets of science say, that like Iron Man’s Extremis armor, our personal devices will, in the not so distant future, be directly wired to our central nervous systems? To the extent that we’ll be unable to discern the lines between where our humanity and our technology begins or ends? 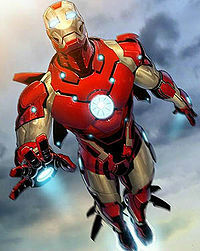 But it’s not just the suit, it’s Tony’s worldview, approaching every problem thru science. Like so many prognostications we might assume that this will inevitably distort his humanity. The irony is, as Iron Man’s tech goes more extreme, the more human he becomes. In Iron Man and Philosophy, Rocco Gangle makes just this point. 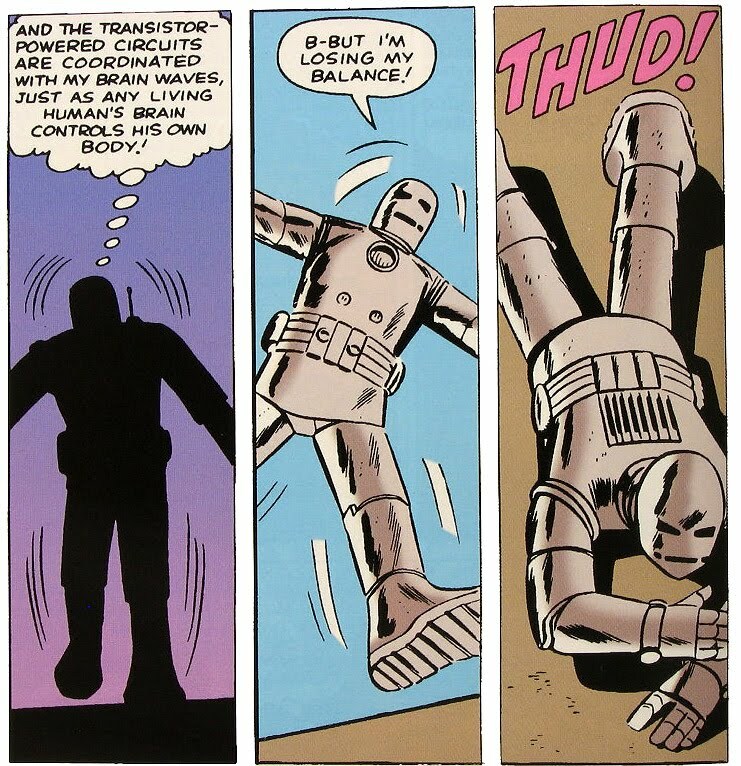 Relying on philosopher Martin Heidegger’s treatment of technology, he argues that Tony Stark, by donning the Iron Man suit, injects technology with human subjectivity. We see this conveyed clearly in the first film at the moment Tony Stark… discussing with a group of soldiers whether manned aircraft or unmanned drones make better strategic weapons…Tony offers a possibility none of those present had considered: “Why not a pilot without a plane?”… Tony Stark himself becomes a technological man who is not merely using technology but manifests technological power in person… Iron Man manages to unite technology with authentic responsibility. (Iron Man and Philosophy). This sort of symbiosis doesn’t happen over night. Over the decades, as real world technology accelerated, unimpeded, at ever faster rates, Tony Stark, the brilliant weapons manufacturer kept pace by making continuous upgrades to his armor. In the movies the timeline for this technological evolution is compressed. As is awakening of Tony’s heart, which in Iron Man 1 is placed at the beginning as part of the origin story. In the comic book these developments span decades, emerging over the course of the comic’s history – both in terms of his armor and his evolving humanity. They are through and through products of nothing more and nothing less than Tony’s relentless pursuit of technology. Tony Stark’s use of technology in building and wearing the Iron Man armor actually shows us a way that the power of technology can be harnessed to human individuality and ethically accountable action such that the worst tendencies of technology itself are resisted. Here’s the point I want to stress. While Gangle, following Heidegger, may be correct, that whatever humanistic hopes and dreams lie ahead for our species, they will, like Iron Man, be products of technological advancement, hypo-statically united, with no possibility of separating out the man from the machine — one nagging question remains. What actually gives rise to Tony’s ethical conscience? His new found sense of responsibility? Heidegger would say it’s a choice made by the courageous individual. 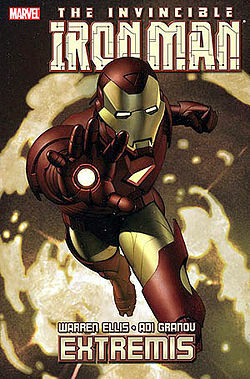 For sure, Tony’s immersion in his protective armor, rather than desensitizing him to the world around him, has made him more aware of his vulnerability as a flesh and blood human being, and with this more responsive to the evils technology so often proliferates, Stark’s own technology included. 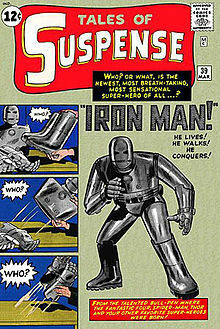 Surely it’s symbolic that the first Avengers movie ends with Iron Man’s incredible act of heroism. It’s the weapons manufacturer turned subatomic superhero, the only Avenger who manifests that technology in his own person, who saves NYC from the detonation of an nuclear weapon of mass destruction. That much rings true, but still, Heidegger cannot account for the true source of Iron Man’s ultimate change of heart… when, at the height of his powers, Tony Stark experiences a complete collapse of his freedom and autonomy. Who is that masked man?